We can empower your business to manage global immigration effectively and efficiently. Peregrine provides independent, expert global immigration knowledge and consultative advice. Immiguru is a web-based database containing 1989 processes to 107 countries checked by 371 independent immigration service providers around the world. 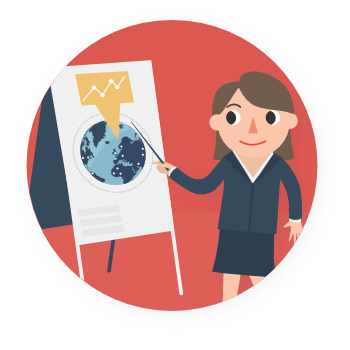 Clear and relevant training will immediately improve communication and efficiency within the global mobility function of your business. Online global immigration knowledge database. Detailed and user-friendly immigration data. Contains 1989 processes to 107 countries. Regularly checked by 371 independent immigration service providers around the world. Login Register for a trial now! Interactive cloud-based case management system. Specifically designed for global immigration case management, reporting, and tracking. Immigration compliance and policy drafting. Our experience with Immigo has been phenomenal. This is the kind of intelligent case management combined tracking system that immigration professionals have been crying out for. 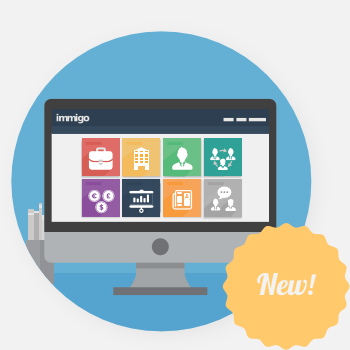 Immigo is the perfect tool, easy to use and clear to read. 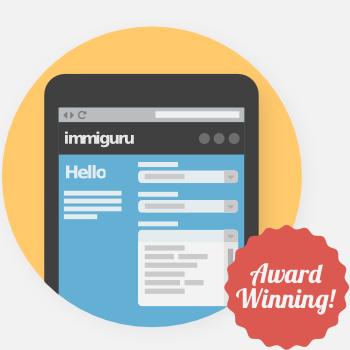 Added to the possibility of the interaction with the Immiguru platform, offering over 500 procedures for 84 countries really allowed Expat Partners to become a global immigration service provider, with a stream-lined system for managing and tracking our case files. Immigo has allowed us to give our clients secured access to their cases whenever and wherever they want, Gantt charts and reports are all available at ones finger tips. Thank you Sophy and the Peregrine team we look forward to the next exciting steps! Fiona Mougenot, Managing Director, Expat Partners. “Immiguru has provided us with a cost effective and time efficient methodology for understanding and facilitating immigration services. We have been able to implement effective internal processes that maximise the use of our resources while giving our team the tools for greater knowledge of the immigration process as a whole.” VP at a global relocation company. “Our work with Sophy King and Peregrine Immigration Management in a Consulting capacity has been a very positive experience. We have received insightful guidance on complex issues, obtained specific expertise on many countries and benefitted from her wide range of immigration experience. This particularly was useful in identifying potential high quality service providers in many of our key locations. With respect to our RFP (Request for Proposal), in which we took a very complex and difficult approach, Sophy's ability to distill down complex situations into manageable pieces was a key to successful execution of the project. During the analytical phase of the RFP, she was able to provide a great balance between applying detailed knowledge to specific responses and identifying areas where a broader approach was more relevant. After awarding the contract Sophy was also able to help us in the development of immigration process flows for new countries. Over-all, Sophy and Peregrine have been timely in their assistance, outstanding in experience, and impartial in assessment - a great, collaborative partner for our project.” Christopher Tice, Senior Consultant, International Assignments, The Boeing Company.